I found Nintendo branded shogi sets are on sale on eBay. Today is the day for LPSA's one day tournament called Kisaragi Cup. Final - Takojima vs Kitao(started at 16:00) | Ustream Live! (game won by Takojima) - My impressions, comments etc.., on this game can be found in my twitter. Allotted thinking time is 30 minutes per player and less than 30 seconds per move after consuming it. 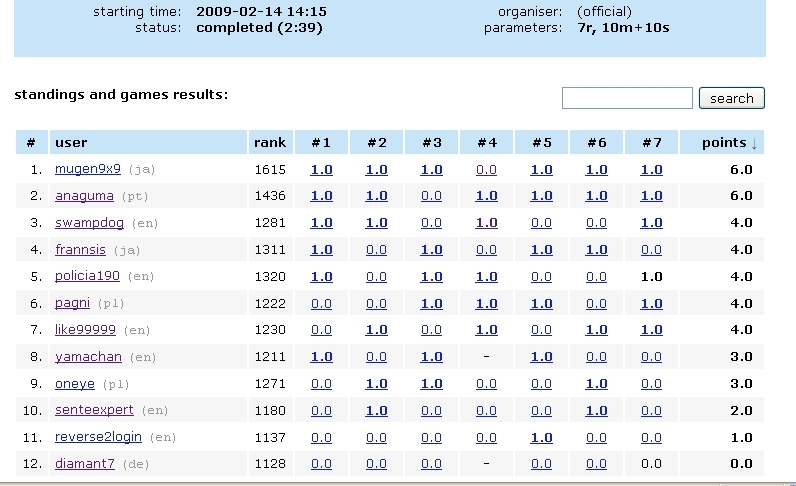 The quarter finals(1st round) were already done. Here are the links to the gamerecords. The first player is Sente. Today I found the following two articles. 3 mohths has passed since it's released in Japanese. Chotto Asobi Taizen will be released on February 25 in Japan. 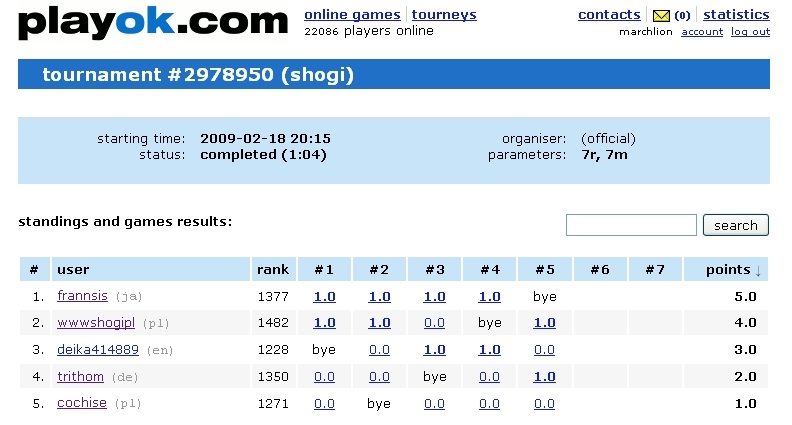 It narrows the 42 games in Clubhouse Games(42 All-Time Classics in Europe, Daredemo Asobi Taizan in Japan) to the five such as Hanafuda, Shogi, Gomoku, Hasami Shogi and Reversi. I really hope this will be released overseas as well as Clubhouse Games(42 All-Time Classics) has been. I also hope the new software does not require to play other games beforehand to unlock to play shogi like Clubhouse Games does. Whether Fukaura's taking vanguard position on 3rd file will succeed or not will be a focal point in this game. Due to the P-3e, It got less easy to activate Sente's right kNight while the Pawn on 3e is a floating piece now. Habu is trying to make 34.P-3e bad and Fukaura is making it good. I think Habu's Bishop drop on 5f punished Fukaura's 34. P-3e successfully to break through the 2nd file. He won the game in 107 moves. On February 18, the 3ｒd game of 35th Joryu-Meijini-sen 3-win match between Joryu Meijin Yauchi and Challenger Joryu Osho Shimizu was held at Tokyo Shogi Kaikan of JSA in Tokyo. Shimizu was Sente player. The opening strategy was Shimizu's unusual Mukaibisha(opposing Rook). Shimizu won the game in 149 moves. The diagram below is the resignation one where Sente took the Pawn on 8f by Sx8f. After the position in the diagram, there will be no mate or even threatmate for Sente's King while Gote has no defense. Here are some possible variations after the diagram. Gote was hopeless at that position and Yauchi had to resign the game. Today is the day for the 4th game of 58th Osho-sen 4-win match between Habu Yoshiharu(Osho, second poto in the page) and the challenger Fukaura Koichi(Oui, first photo) at Beppuwan Royal Hotel in Beppu City, Oita Prefecture. It started at 9:00 am. Habu is Sente Player. The opening strategy is Gote's Itteson Kakugawari(Bishop exchange with Gote's one tempo dealy). Before the game, the score was 2-1 led by Fukaura. Shimizu's Opening is a bit peculiar. She seemed to choose Ibisha(Static) rook since she took vanguard position on the 2nd file. But she also took vanguard position on the central file and transferred her Rook to the 8th file.